Wells Fargo CEO Tim Sloan before a U.S. House Financial Services Committee hearing in Washington on March 12. 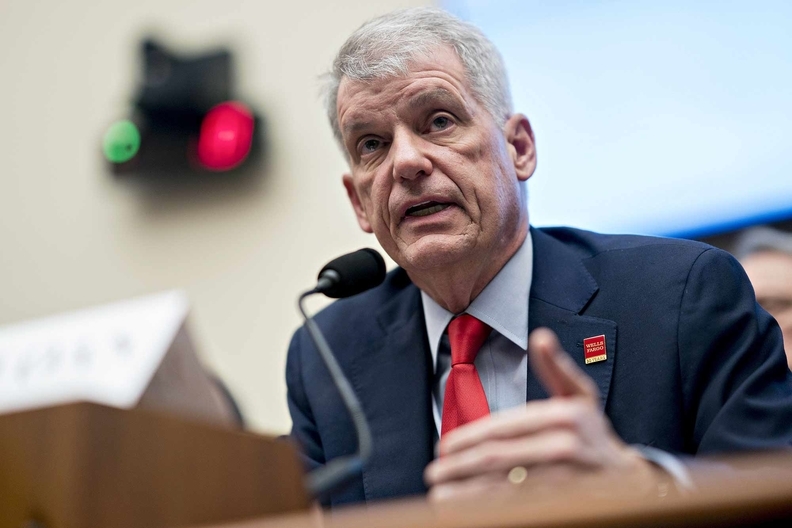 Wells Fargo & Co. CEO Tim Sloan gave in to critics and abruptly stepped down Thursday, after the 31-year company veteran struggled to tame a range of scandals, launching the fourth-largest U.S. bank and major auto lender into a hasty search for a successor. Sloan, 58, will be replaced on an interim basis by the firm’s general counsel, C. Allen Parker. The board said it plans to look externally for a permanent replacement. The search for a successor won’t be simple. Recruiters and investors have said the pool of plausible replacements is shallow and the job description daunting, especially with the company still embroiled in probes. In April 2018, U.S. regulators slapped Wells Fargo with a $1 billion penalty when it admitted to wrongly forcing borrowers into auto insurance policies. Finding an external candidate groomed to run such a large bank probably means poaching from just a few peers, such as JPMorgan Chase & Co. Yet paying enough to pry someone from a more stable situation risks a firestorm with the same critics who called for Sloan’s head. Last year, Wells Fargo was dealt an unprecedented blow from the Federal Reserve as then-Chair Janet Yellen’s final act: The bank can’t increase assets beyond their level at the end of 2017 until it addresses missteps to the regulator’s satisfaction. In January, the lender said it’s planning to operate under the cap through the end of 2019, rather than just the first half. In the meantime, it’s accruing billions of dollars in fines and settlement costs. That includes $1 billion last year to federal regulators for consumer mistreatment and $575 million to 50 states and the District of Columbia.Supporters including board members credited Sloan for unearthing and fixing past problems, tightening internal oversight and taking other steps to address regulators’ concerns and improve earnings.